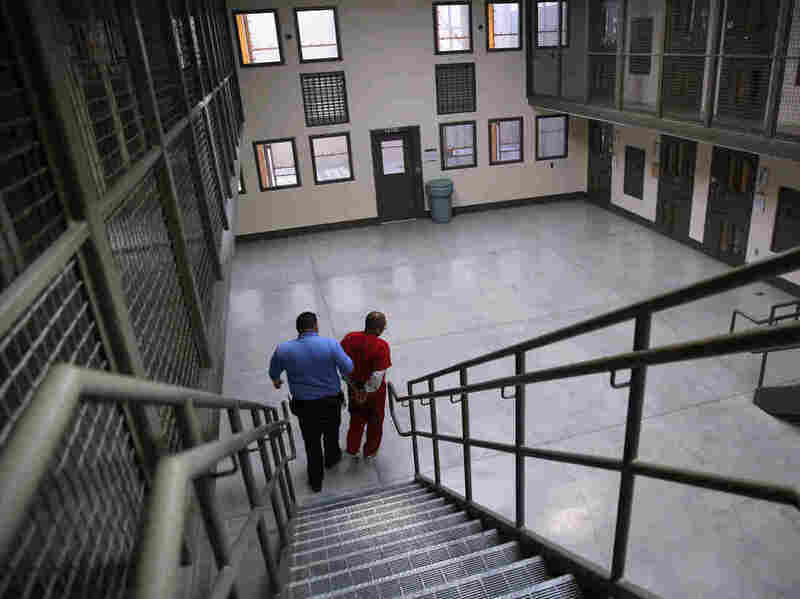 A guard escorts a detained immigrant from his “segregation cell” back into the general population at the Adelanto Detention Facility in November 2013. Today the privately run ICE facility in Adelanto, Calif., houses nearly 2,000 men and women and has come under sharp criticism by the California attorney general and other investigators for health and safety problems. Giselle’s father crossed from Guatemala more than two decades ago, without authorization to enter the U.S. He worked in construction until agents picked him up and brought him to Adelanto. Giselle says her father languished there for three months without his diabetes medication. Now, she says, the guards give it to him at odd times during the day and night. And, she says, ICE agents took his eyeglasses so he can’t read legal documents or write letters. 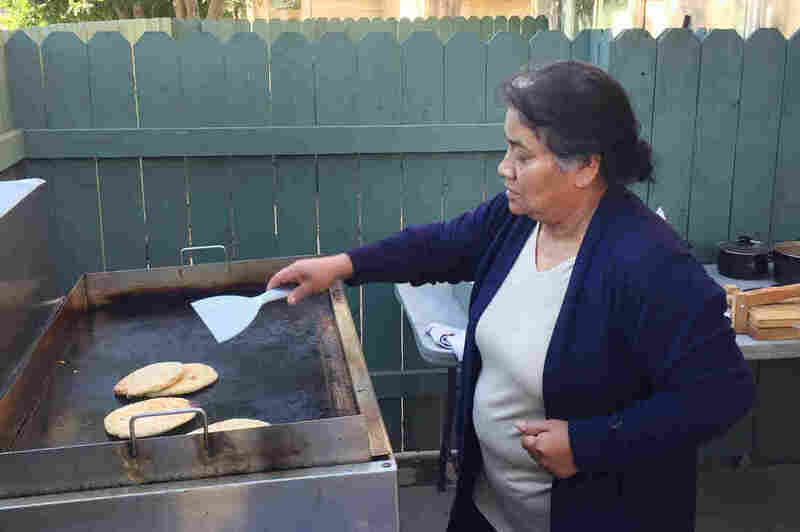 Maria Contreras, José’s sister, makes papusas and other food for sale in Southern California — to help support the family while José is in detention at the ICE Adelanto Processing Center. He has been held there for months without his glasses or requested counseling for depression, she says, and doesn’t get his diabetes medication when he needs it. José’s sister, Maria Contreras, visits her brother every Saturday. 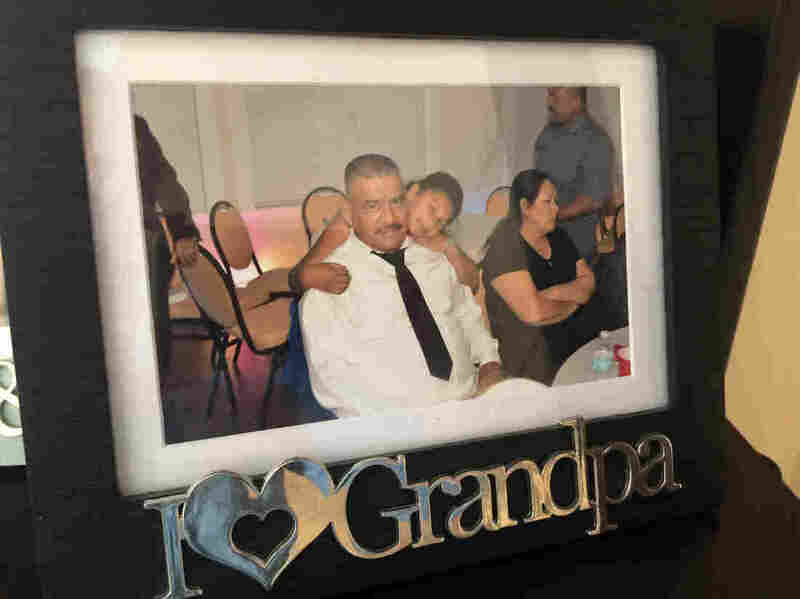 She has urged him to see a psychologist at Adelanto, but he tells her that even though he filled out a medical request, he doesn’t get any help. “No response, or anything,” Maria says. The facility — run by a federal contractor, GEO Group, a for-profit company based in Boca Raton, Fla., that runs private prisons — has a troubled past. During an unannounced visit last year, federal inspectors from the Department of Homeland Security’s Office of the Inspector General found “nooses” made out of bedsheets in 15 out of 20 cells. The inspectors found that guards overlooked the nooses even though a detainee had died by suicide using a bedsheet in 2017 and several others had attempted suicide using a similar method. The government audit concluded GEO Group guards improperly handcuffed and shackled detainees, unnecessarily placed detainees in solitary confinement and failed to provide adequate medical care. But Mario, who was inside Adelanto for six months in 2018, says the report describes his own experiences there. “What’s happening is all those claims that have been made against GEO and the staff in the medical department are finally being backed up by reports,” Mario says. Other detainees and immigration lawyers described a similar pattern, of GEO psychiatrists prescribing antipsychotic medications that make people sleep much of the time. It’s one of the reasons people were reluctant to seek help, Mario says. But also, like other detainees, he was worried about being labeled as depressed. “I couldn’t express whenever I was extremely feeling sad or depressed or anxious because I was afraid that would be used against me in court,” he explains.